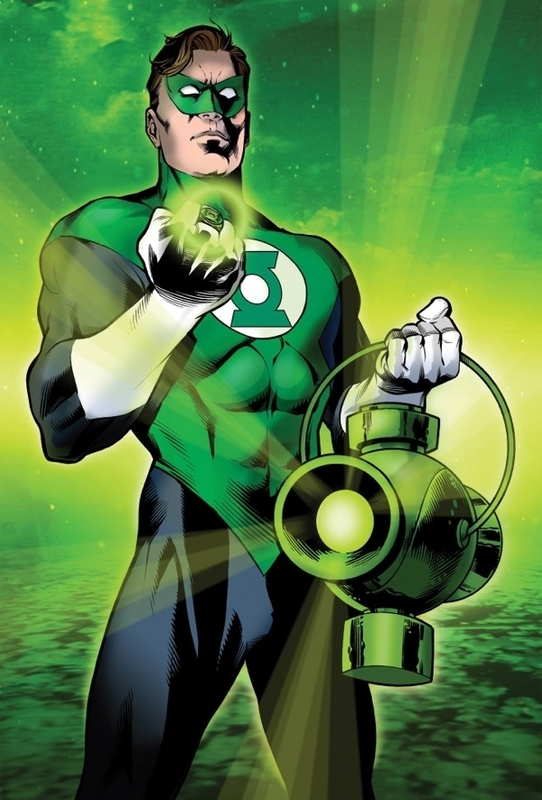 View Poll Results: Who is your favorite Green Lantern? Overall, I'm not surprised by how popular Jess is in this poll. @Frontier pretty much described it: she's Latina, the first female main lantern, and has anxiety. I guess on some level one can kinda say she is what Kyle had been when he first started out, but without the issue of replacing anyone. I think she is more relatable to the current audience, particularly for animation/live action adaptions (DC Superhero Girls is one of, if not the, best thing for her imo). And while I'm personally not a fan of mixing backstories, I've definitely seen some people hoping that if they think what might happen to Hal in the YJ show actually happens, they'll go straight to Jess as the last lantern to join the team. All that said, different places with a similar poll would probably yield different results. I recall DC's subreddit had various polls for their subscribers about 6 months ago and one question was about their fave lantern or something like that. Pretty sure behind Hal was Kyle in the results, but there's no denying how popular Jess has become and good for her! All that said, while I personally relate to Jess that most, Kyle definitely has the most special place in my heart. Hal would be in third for me. To be fair, Kyle has been so grossly underrepresented in outside media that I think it would be a huge disservice to skip him over if they did that. The story is just as much about Kyle's introduction as it is about Hal's downfall. Jessica is currently doing really well in terms of outside representation, I think Kyle needs YJ more than she does. And when it comes to the legacies, Young Justice has been pretty consistent about introducing characters in the right order, and Kyle would be the next Earth GL. Technically they could have Kyle's introduction happen during a timeskip and move on to Jessica (and Simon) as the main GL's during the season. They've done that before, most notably with Wonder Girl and Robin. Oh, I 100% agree. I was bringing up her animation/outside media appeal and used YJ as an example. It's a testament to Jessica's popularity. And I do hope she shows up in YJ in the future if there's more seasons, but not that route. It's not only a disservice to Kyle, but to Jessica as well. She has her own interesting story. No need to use Kyle's. That is, if it's anything other than an easter egg. I certainly hope it does go somewhere, because otherwise it just doesn't make sense. There's no way Hal suddenly got this old when he's around the same age as the other JL founders and they haven't aged at all. Usually I'm very much against adapting the Parallax story in any outside medium, but if they do, at least have something good come out of it like Kyle. People have been wanting to see him on the show for years so I think it makes sense. Last edited by Johnny; 02-10-2019 at 04:27 AM. I honestly think the franchise is much better served as a team concept (similar to the '80s cartoon GI JOE) than a traditional solo alpha franchise like the Superverse or Batverse (that just keeps resetting for the main character). Also, wasn't Alan's daughter / Kyle's paramour Jade Scott an actual legit Green Lantern for a while? I know she's been erased from current canon now, but if she were to become a viable option, where would she fall on this list for you? That's true, but it just seems like that there's so much going on this season that it would be hard to fit it in, unless it's a tease for what will happen either during the time between season 3 and 4 like @El_Gato said or in season 4 itself, assuming season 4 happens. I'd say I'm more accepting of the Parallax story, but I understand the opposing view. I do think the YJ showrunners could definitely make it compelling for this universe, though. Hal Jordan. He was my first introduction to the Green Lantern mythology when I was a kid and remains my favourite. I'm genuinely fond of all of them though. Like many other Lantern fans on here, Jessica Cruz has become a firm favourite. If there was a second choice available here as well then I probably would have voted for her next. I second almost all of this, though second-place would be more of a battle between John and Jessica for me. In before we see a flash to the GL's fighting The Reach and Kyle is just randomly there . it doesn't make sense for hal to get that old. i'd like to see kyle, but hopefully that's not the reason why hal was drawn that way in young justice. it would be really funny if dc was planning on an old man hal series... (well, not really). Kyle Rayner gets my vote, with Guy Gardner a CLOSE second. Hal Jordan for me. Followed by Guy Gardner. Right on! Would'nt mind seeing them go back earth side. Hal and Guy together is usually always a recipe for disaster and entertainment . i remember that issue... half of it was drawn by m.d. bright if i remember correctly (i loved his work in g.i. joe). guy was really a jerk during this time, especially in the jli.